Ten Habitat, a non-profit organisation which focuses on developing investor-ready start-up Caribbean entrepreneurs and regional bank CIBC FirstCaribbean have partnered in a venture to support local and regional start-ups. Gary Brown, Chief Executive Officer of CIBC FirstCaribbean and Chairman of CIBC FirstCaribbean’s charitable foundation, and Selwyn Cambridge, Founder of Ten Habitat, recently signed a Memorandum of Understanding at the bank’s Warrens, St. Michael offices in Barbados, which will see the bank supporting the work of Ten Habitat with a yearly grant of USD$15,000 for the next three years. 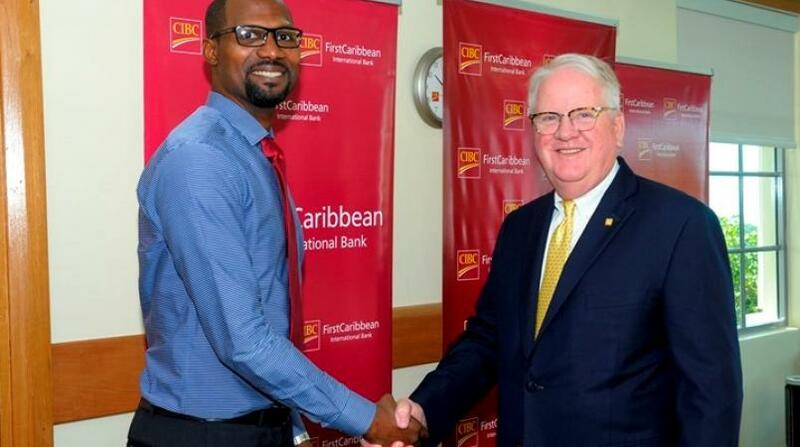 “At CIBC FirstCaribbean, we recognise the need for young entrepreneurs to get that grounding in starting their businesses and so we support the work of Ten Habitat and organisations like it that will hold the hands of young start-ups to guide them on the way to successful businesses,” Mr. Brown said following the signing. Ten Habitat will work with young entrepreneurs, by exposing them to a range of hands-on support that will assist them in building their businesses. The organisation boasts a global network of experts, mentors and coaches who help the start-ups move their ideas from concept to reality and then further facilitate them by mobilising the Caribbean Diaspora to invest in those businesses. CIBC FirstCaribbean is one of the first corporate entities to support Ten Habitat in their quest to assist the young entrepreneurs as part of a programme which will be rolled out in Barbados first and then to the rest of the Caribbean. Ten Habitat supplies mentorship, guidance, funding and a co-working space for the businesses and stages a number of key events annually aimed at strengthening their various skills.